You do not have to pay the full price on prescription medicine. Get a free Drug Discount Card that is good for most prescription drugs purchased at a pharmacy. 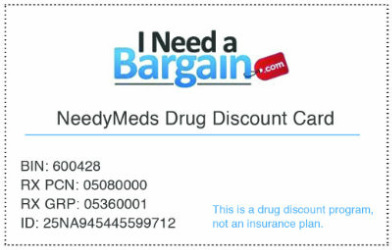 INeedaBargain.com presents a drug discount card that you can use at over 62,000 pharmacies nationwide. Simply print and present it to a participating pharmacy to receive a discount on your prescriptions. Black Friday Deals on Prescription Eyeglasses!